What does a domain name do for your and your business? Provides you with an identity. Says you and your company are moving forward with the times. The design of your site tells visitors, hopefully customers, something about you, your business and your business practices. Adds to ‘branding’ of your name. Gets people to your site and builds your business. Names are important and need to make sense for your business, area or customers. You can make a connection with a brick-and-mortar store, your location or your products. It should . . .
not be so long, people forget it. 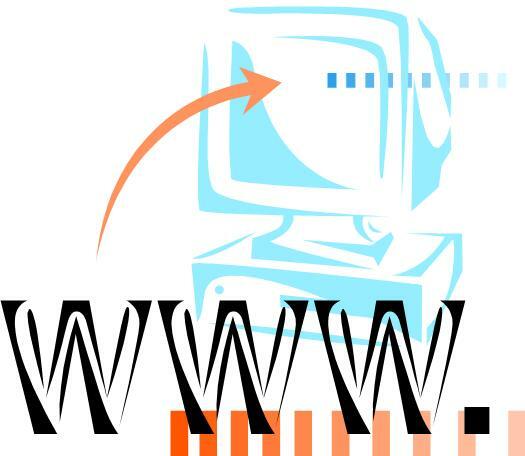 This page will help you understand three topics concerning domain names. What elements comprise a name how it works. Who manages the domain name registration process. What does a domain name do for you and your business. The process of name resolution facilitates the connection between what people use and computers need. Computers like numbers. A web site resides on a computer. The address of the computer may be 209.34.179.234. People like words and names. A web site resides at www.yourcompany.com. You start up your browser (i.e. Internet Explorer, Firefox or Chrome) on your computer. What would you rather remember - 209.34.179.234 or www.yourcompany.com. The name resolution process utilizes a special server called a Domain Name Server (DNS). This server keeps a database of all the registered domain names and computers they reside on. The settings on your computer and from your Internet Service Provider (ISP) facilitate the exchange of information. The parts are separated by periods, pronounced ‘dot’. Examples of Top Level Domains include .com, .net, .edu, .gov, .info, .biz and .org. Lots of names have been taken and each must be unique. When selecting a name you should be aware of copyrights and trademarks. Legal issues abound and are still being decided by our courts and public opinion. In the beginning . . . it was InterNIC under the National Science Foundation who registered domain names. As the Internet grew so did the registration process. Now there are over 90 registrars controlled by ICANN (the Internet Corporation for Assigned Names and Numbers). The various registrars offer different price structures, additional services, and levels of technical support. Businesses and persons looking for domain names should be careful and read all the fine print carefully. You may be stuck with banner ads and pop-ups, not be able to get tech support, have a long term commitment, etc. Your web designer should be able to advise you concerning registrars and registry services.